We’re so excited to be announcing another new author joining the SWP family. Please welcome Janina S. Franck! 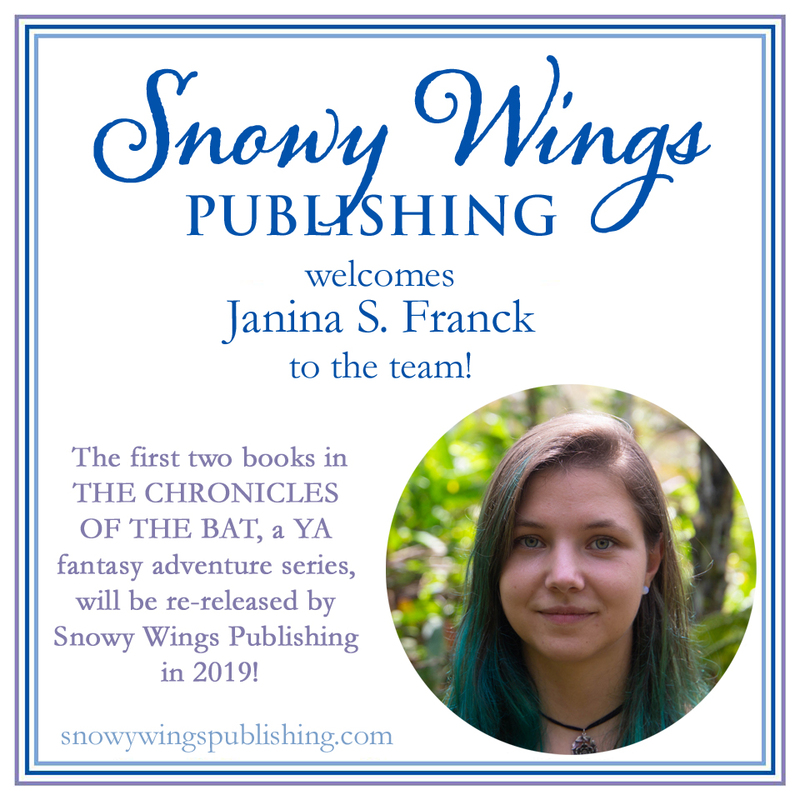 Snowy Wings Publishing is pleased to announce that we will be re-publishing Janina S. Franck’s Chronicles of the Bat, a young adult fantasy adventure series. The first two books in the series, CAPTAIN BLACK SHADOW and WHITE DEVIL, will be released in 2019, with further installments of the series to come in 2020 and beyond. The series follows a young man named Griffin who stows away on a merchant ship only to find himself swept into a life of piracy and a magical quest he could never have expected. Captain Black Shadow will be releasing in June 2019, with White Devil to follow in early December 2019. Welcome to the team, Janina!